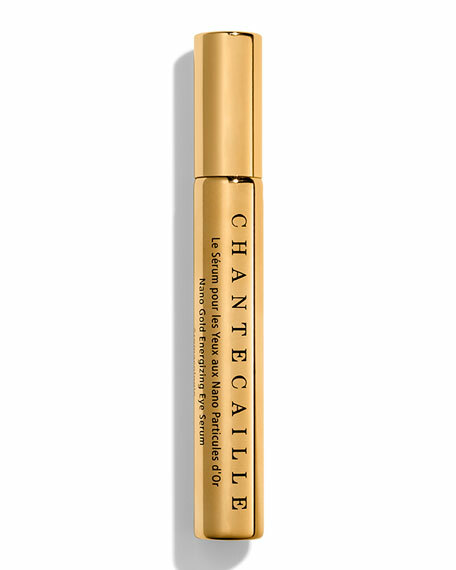 Chantecaille Nano Gold Energizing Eye Serum, 0.52 oz. ChantecailleNano Gold Energizing Eye Serum, 0.52 oz. An innovative eye serum enhanced with age-defying plant stem cells extracts that help moisturize, soothe, reduce the appearance of lines, and prevent visible signs of fatigue*. A unique blend of botanicals and peptides softens the appearance of dark circles and smoothens out the looks of wrinkles and puffiness*. Glide the roller ball on clean skin around the eye area, twice daily. May be used on other expression lines such as smile lines, marionette lines and the brow area. Bionymph Peptide Stem Cell Extract fights the aging process on all fronts softening the appearance of fine lines*. Matrixyl 3000 Tripeptide, is a unique blend of peptides that helps promote a more toned appearance while lessening the visible appearance of wrinkles*. 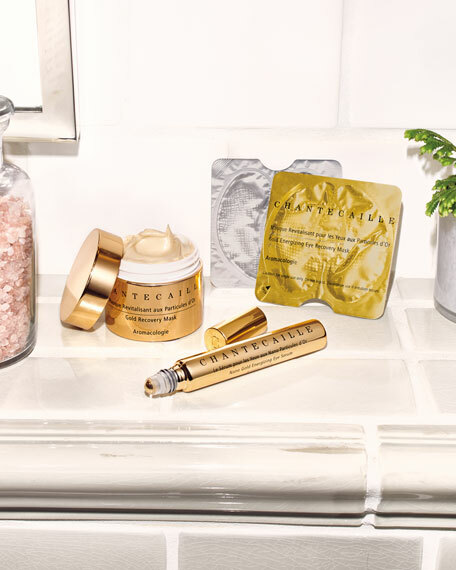 24 K Gold and Silk have antioxidant and soothing properties*. Raspberry Stem Cell Extract is a major anti-oxidant that soothes dry skin reducing the appearance of redness. Soothes dry skin immediately and in the long-term*. Lycoskin derived from tomato stem cells is a strong antioxidant that promotes skin clarity and luminosity*. Anti-Wrinkle Hexapeptide softens the look of expression wrinkles*. 97% naturals including a base of pure rosewater.